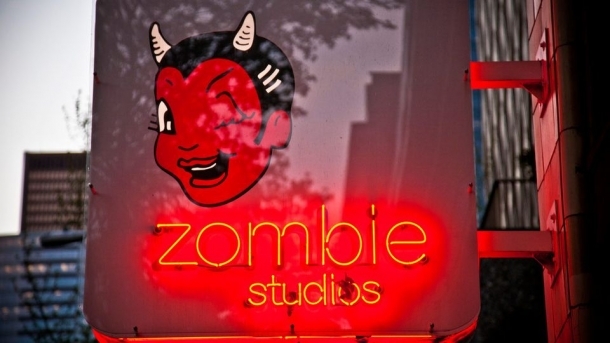 Zombie Studios is an independet American video game developer. Founded in 1994 by Joanna Alexander and Mark Long, Zombie Studios have developed games for a wealth of different platforms and genres. They are most well-known for their work on the Spec Ops franchise. Daylight is a first-person survival horror game developed by Zombie Studios for the PlayStation 4 and Microsoft Windows. The game features procedurally generated environments with in bone-chilling detail for a unique experience each time, allowing for limitless replayability and unpredictability. Blacklight: Retribution is a free-to-play (F2P) first-person shooter from Zombie Studios. It is a sequel to their previous game, Blacklight: Tango Down, which was critically and commercially unsuccessful. The game takes place within a fictional, science-fiction based future and uses weapons and tools to match this. Saw II: Flesh & Blood is an action game developed by Zombie Studios and released on PlayStation 3, Xbox 360. Blacklight: Tango Down is a shooter game developed by Zombie Studios and released on Microsoft Windows, PlayStation 3, Xbox 360.